A garage door is the largest and heaviest moving mechanical device in your home. That’s why safety checks, performed by a certified garage door technician, are so important. Here are three annual checks you can do to help keep your family safe and your garage door problem-free for years to come. Inspecting the hardware and moving parts, such as springs, hinges, pulleys, cables and rollers, for wear and tear can help prevent major damage to your garage door and potentially save you money, according to Lutz. If there are signs of breakage or deterioration, a replacement or small adjustment now can go a long way towards avoiding a larger repair bill down the road. Turn off the power supply to the garage door opener. Next, disconnect the garage door from the opener. You should be able to lift the door easily by hand with little effort – but please remember to practice safe lifting techniques before you undertake this work! Is the door difficult to lift? Does it fall to the ground? Did the door lift too quickly? Or does it simply stay in the middle? If this test suggests an issue, bring in a professional to fix the problem. As Lutz cautions, torsion springs can be dangerous and could cause potential injuries if you’re not trained to repair them. Place a 2 x 4 in. piece of wood on the ground and close the garage door. If the sensor is properly adjusted, the door will reverse upon making contact with the wood. If it doesn’t, call in a professional to safely make an adjustment. 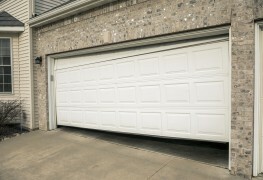 Monitoring the condition of your garage door may also be a condition of your garage door warranty. 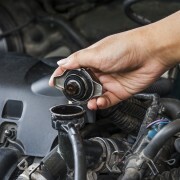 Check with the manufacturer to understand what maintenance is required to keep the warranty in force. 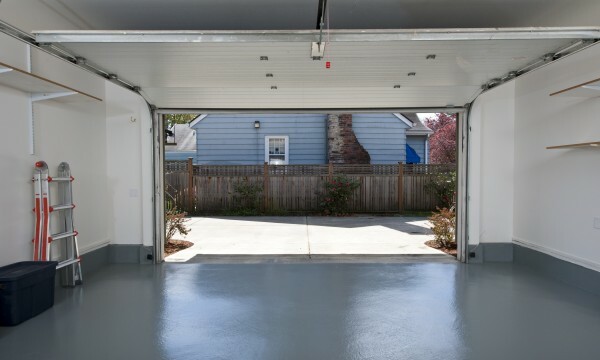 Periodically lubricate the moving parts of your garage door. 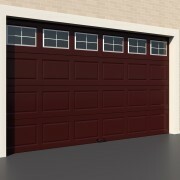 The weather stripping along the sides of a garage door deteriorates over time, and can eventually jam the door panels. Check your weather stripping, and replace it as required. Cleaning the garage door will help to prolong its life. Wash off dirt and clean the tracks to keep the door running smoothly. Water and gentle detergent can be used to clean standard steel and aluminum doors. Consult the manufacturer for instructions on how to clean wood doors. 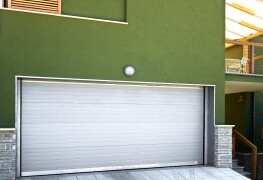 How can you tell when your garage door needs attention? 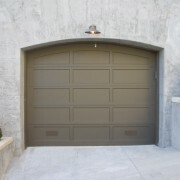 Your garage door may be able to tell you when it needs maintenance. Because garage doors have many moving parts, and given their weight, it’s best to have a professional garage door technician perform maintenance checks at least once a year. 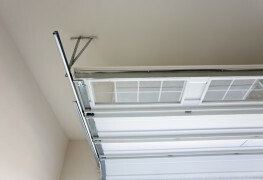 He or she is a highly trained expert who can ensure safe work practices are being used when servicing your garage door. Finding your perfect garage door or overhead door, and keeping it in tip-top shape—that’s our top priority. We begin with masterfully installing your door and ensuring every mechanism works perfectly from the start. But, we don’t stop there. Year after year, we keep on delivering with smart maintenance packages, skillful repairs, and part replacements.